I am a mum of three beautiful children, Sofia 17, Phoebe 15 and Javi 10. I am married to my soul mate, Jaime, and I am very fortunate to be able to live between Spain and the United Kingdom. A defining moment in my life happened in 1996. I was shy, lacking in confidence, had no belief in myself, and I was unhappy in my work. I felt a strong desire to change my circumstances, but didn’t know where to start. From an early age, I was very shy, I would never speak up in class at school, and when I left education and embarked on my working life, my shyness was still hindering me. I didn’t enjoy my work because I was constantly in fear of doing something wrong! My confidence was at an all time low and I began to wonder how long I would have to carry on feeling like this. It all started to change for me when I was introduced to self development through a network marketing business that I had joined. I started to gain confidence bit by bit and I began to believe in myself. I didn’t realise that there was such a vast supply of information that I could access to help me work on myself. 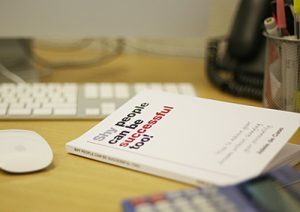 I started to read, listen and study successful people. My life is now unrecognisable. I have achieved success in many different areas and achieved many of my dreams and ambitions. One of the things I never ever saw myself doing was public speaking. However, I discovered that it would be the ultimate test of my confidence and hence I set it as a goal and in 2005 I spoke on stage at the National Indoor Arena in front of 5000 conference delegates! I now receive massive satisfaction from helping others who are suffering from shyness, social anxiety or lack of self esteem like I once did. 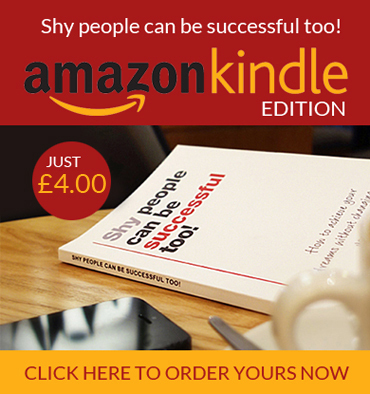 This I do through my books, my blog and newsletter, and most recently I have created the Success Formula for Shy Entrepreneurs, a complete blueprint for achieving success regardless of your shyness. This course is available online. If you’d like to attend one of my live one-day ‘Success Formula For Shy People‘ events, then leave your details below and I will let you know when the next date is available…..
Below is a list of some of my favourite books that I am reading and studying at the moment. Some of these books are new to me this year or last, some of them are books that I have been reading on and off for a number of years, but they have all had an impact on my life and continue to do so.